Die-Cast Promotions by F.F. 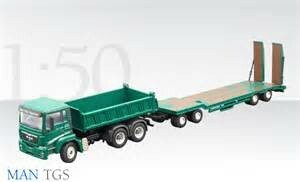 Ertl 111, Inc.
MAN TGS WITH GOLDHOFER TRAILER "HANS PREIS NEULOHE"
Dealing in quality diecast replicas since 1982. Direct importer of Conrad and NZG models from Germany. Promoter and Distributor of First Gear, Diecast Masters and Classic Construction Models products. © 2017 Roy Ferguson Sales. All Rights Reserved.